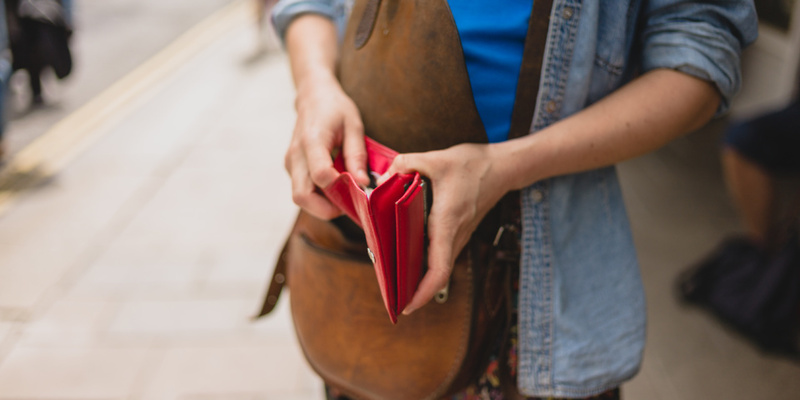 New data has revealed how easy – or difficult – Brits would find it to get their hands on cash in an emergency, plus how likely they are to run out of money by payday. So, how does your financial situation stack up? Just 39% of people in the UK could rely on existing savings or investments if they faced a major and unexpected expense, the latest update from the ONS Wealth and Assets Survey shows. But how secure people feel varies greatly depending on their age and the area they live in. Which? looks at the data, and explains how you can make your money stretch further. How likely are you to run out of money? The survey, one of the largest of its kind, asked around 18,000 households how often they ran out of money before the end of the week or month – and more than one in 10 indicated they ran short ‘always or most of the time’. But where in the UK are people most at risk? Wales had the highest proportion of people who were financially insecure, with 15% saying they usually ran out before payday, followed by the North West at 13%. Despite the relatively high incomes in London, around 12% of people in the city said they were often caught short. By contrast, just 8% of people in Scotland reported regularly struggling to make ends meet, and just 9% in the South West. People aged 16 to 24 were most at risk, with 18% caught out each month. Nonetheless, this is a significant improvement on previous years, when it was over 22%. Those aged 25 to 34 were not far behind at 16%, followed by people aged 35 to 44 at 15%. As part of the survey, households were also asked how they would meet an unexpected major expense. Overall, 39% of people indicated they would be able to draw on existing savings or investments in 2016-17, down from around 45% in previous years. A total of 34% said they would draw on money in their current account, up from 27% in the year before. But the remainder would find it harder to get their hands on the required cash. Getting help from family and friends was the third most common approach, favoured by 21% of respondents, while 12% said they would borrow the money and 5% said they would find other means, like selling something or cutting spending. Around 8% said they would not be able to find the money at all, and this was as high as 12% among those aged 16 to 24. By contrast, those aged over 65 were least likely to struggle, with just 5% indicating they’d be unlikely to get their hands on funds. Access to savings or investments was most common among people aged between 55 and 64, where almost 44% indicated they had a financial cushion. But this is a significant drop from previous years, when it was over 55%. More people, on the other hand, seem to be keeping their cash in current accounts. Half of over 65s could withdraw money from a current account for a major expense, compared with just 22% of 16-24-year olds. If you want to boost your bottom line, there are a few steps you can take to earn more from your money. Shop around for the best savings rate. Make sure your money is earning the best possible return by comparing savings rates. Keep in mind that you’ll earn more if you’re able to lock your money away for a set period in a fixed-rate account. Set yourself a budget. Work out how much you need for bills each month, how you can cut expenses and how much you can afford to save to build up a financial cushion. Our round-up of budgeting apps may help you along the way. Check if you’re on the best overdraft. If you regularly dip into your overdraft, it’s important to understand how much you’re paying, and whether you could find cheaper rates elsewhere. Our guide to the best bank accounts for arranged overdrafts might help. Weigh up your borrowing options. A payday loan will almost always be your most expensive option for borrowing money. Instead, consider whether you can borrow within your overdraft, on a credit card or through a personal loan – taking into account interest payments and how long it will take you to pay back. Keep in mind that failing to make the minimum payments will have a severe impact on your credit score, and you may face high interest or penalties. Manage your debt with a 0% balance transfer card. Struggling to pay down your credit card balance? A 0% balance transfer card allows you to move your balance and pay no interest for a set time period. Just make sure you can pay back the card in full during that timeframe, and that you avoid making extra purchases that might trigger interest payments. Save money on your mortgage. If your deal has come to an end, you may be able to remortgage to a cheaper rate – especially if you’re now on the lender’s SVR. You can find out more in our guide to finding the best mortgage deal. Improve your credit score. The higher your credit score, the more attractive the rates you’re likely to be offered. There are lots of ways to boost your score – you can find out more in our guide to credit scoring. Earn extra money online. You can give yourself a small financial boost by earning a bit of extra cash on the side – whether through cashback websites or selling unwanted goods. In our guide, we round up 50 ways to make money.